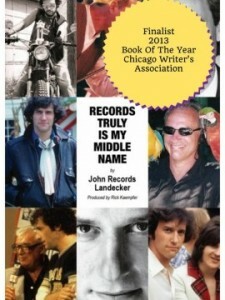 Landecker’s book, Records Truly Is My Middle Name, was co-written by our editor-in-chief Rick Kaempfer, and is available at Eckhartz Press. Judge Kenesaw Mountain Landis is best remembered as the man who banned the Black Sox for life, and saved the game from the evils of gambling, but Judge Kenesaw Mountain Landis was a Chicago Cubs fan long before he took over baseball, and remained a Cubs fan until his dying day. He was named a federal judge by President Theodore Roosevelt during the heyday of the Chicago Cubs championship run. As a judge, he became nationally famous for standing up to the richest man in the world, John D. Rockefeller. While he was beloved as a trust-busting judge, Landis was also a regular at West Side Grounds, home of the Chicago Cubs. He openly rooted for the Cubs against the White Sox in the 1906 World Series, something White Sox fans never forgot. When the Cubs moved to what is now Wrigley Field, he was a regular there as well. He loved baseball and watched it intently, leaning forward in his seat, devouring every moment of the game. During World War 1, Judge Landis became even more popular with the general public. A fervently patriotic nation cheered the judge who threw the book at anyone who dared speak ill of his country (which was against the law at that time, thanks to the Espionage Act of 1917 and the Sedition Act of 1918). It was during this era, however, that gamblers began to take over Landis’ beloved game of baseball. With horse racing banned by President Wilson during the war, the gamblers shifted their attention to another sport–the national pastime. Rumors swirled during the 1918 Series (which featured Landis’Cubs), and then reached a fever pitch during the 1919 Series between the White Sox and the Reds. When a Cubs player (Claude Hendrix) was accused of sports betting on another game in the 1920 season, baseball owners knew something had to be done. The idea of naming Landis Commissioner of baseball actually came from one of the minority owners of the Cubs, Albert Lasker. He was an advertising mogul in Chicago who realized that the game would be forever tainted if it didn’t act. Who better to save the game than the man who stood up to Rockefeller? Landis accepted the job and became as tough on players who gambled as he had been on Americans disloyal to the War. After his harsh punishments against the White Sox players (and several other players in the following years), rumors of game-fixing virtually disappeared from the game. While a sport like boxing (which was just as popular back in those days) slipped into an underworld morass, baseball emerged more popular than ever. 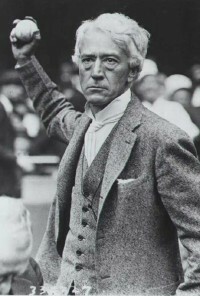 The credit for that goes to a Cubs fan…Judge Kenesaw Mountain Landis. What is Jon Lieber up to now?